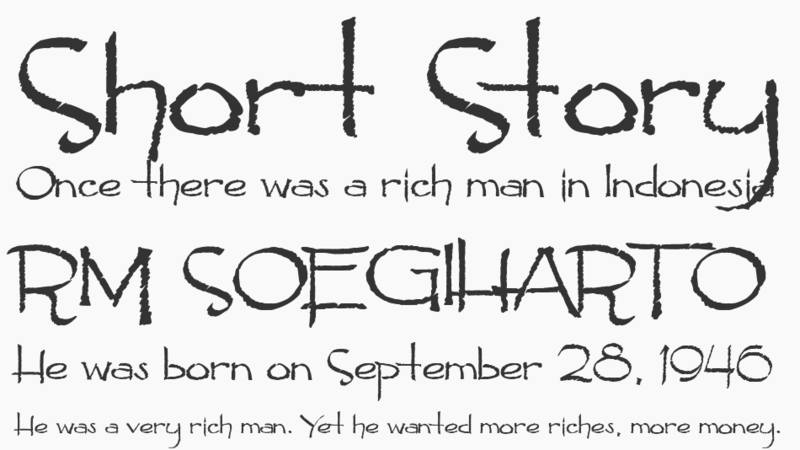 Pyrite Scrypt font is decorative font which is designed by Dirt2.com - SickCapital. This font is labeled as Various font. Pyrite Scrypt font family has 1 variant. An alternative to papyrus that I wanted to try, I did quite a few adjustments before publishing the font so I hope you find it useful in your projects. Donate to use it on commercial goods: http://sickcapital.com/scripts/prodView.asp?idProduct=63 Free for persona/non-profit use. Pyrite Scrypt font is one of Pyrite Scrypt font variant which has Regular style. This font come in ttf format and support 236 glyphs. Based on font metric, Pyrite Scrypt Regular has usweight 400, width 5, and italic angle 0. This font is labeled as .